Cheap phones are becoming good, and good phones are becoming cheap. Devices like the Moto G5 Plus are proving that you don't need to spend hundreds of dollars to have a great phone, and ZTE's new Blade Spark seems to be a great entry in the budget phone category. For one penny shy of $100, you get a 5.5" "HD" screen (my guess is 720p), a 'selfie button,' Dolby Audio, a 13MP rear camera, a 5MP front-facing camera, and Android 7.1.1. The most surprising feature is a fingerprint scanner, which is usually missing from phones in this category. AT&T's website says the phone has a Snapdragon 425 processor, 16GB of expandable storage, 2GB of RAM, and a Type-C port (however, it's worth noting that carriers often list incorrect specifications). Unfortunately, it looks like the ZTE Blade Spark will be exclusive to AT&T Prepaid (the new name for AT&T GoPhone). If you're looking for a good unlocked phone around this price, the Moto E4 is a good choice. 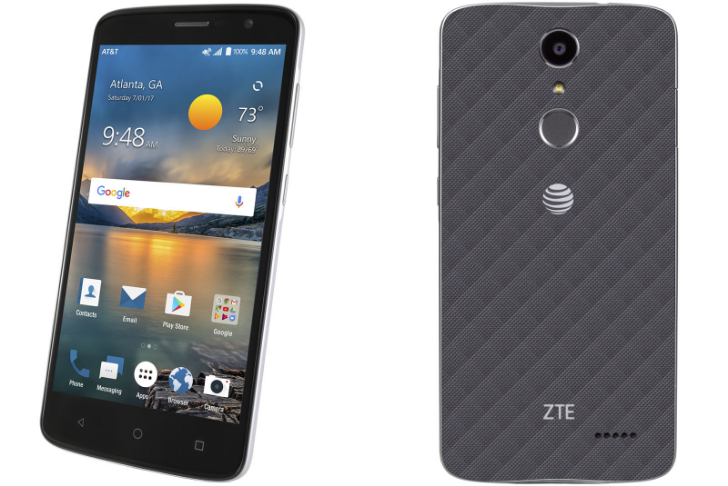 RICHARDSON, Texas--(BUSINESS WIRE)--ZTE USA, the fourth largest smartphone supplier in the U.S. and second largest in the no-annual contract market*, today announced that it has expanded its award-winning Blade smartphone series with the ZTE Blade Spark. Integrating high-end features such as a fingerprint sensor and a 1.4GHz Qualcomm® Snapdragon™ Mobile Platform the ZTE Blade Spark is available today online and in select stores through AT&T for only $99.99 MSRP. Large Screen for Entertainment: The ZTE Blade Spark provides a vivid 5.5’’ HD display so reading, watching and playing are viewed in crisp detail, and with Dolby Audio your content never sounded so good. Latest and Greatest Android Operating System: The ZTE Blade Spark ships with Android Nougat 7.1.1 so you can have the latest and greatest Android OS right out of the box. High-Quality Photos from all Angles: With a “selfie” button located on the side of the phone, you can take quick, spontaneous photos of you and your friends even when the phone is locked. And with a 13MP rear and 5MP front-facing camera, your photos will turn out great no matter where you are. Security at Your Fingertips: The ZTE Blade Spark also has a fingerprint sensor for added security and convenience, and allows you to save up to five different fingerprints to instantly access any application. For full list of phone specifications and features visit http://www.att.com/bladespark.